The Farm to Plate Inspiration of Cove Bar I Grill stems back to our families love of fresh produce. Every dish born at Cove is made with Mother Nature’s freshest ingredients, love, persistence and care for those about to enjoy. Enjoy a modern Australian cuisine with us at Cove. 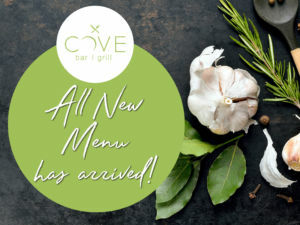 Cove Bar & Grill is open for lunch from 11:30am, and for dinner from 5:30pm. For current Menu – Please click link below…..